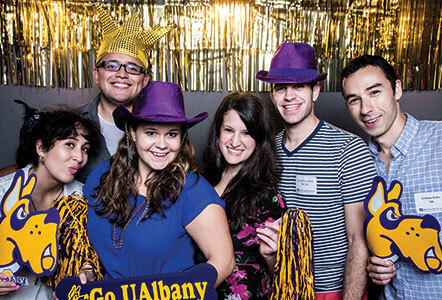 More than 300 Graduates of the Last Decade attended the annual GOLD Schmooze in NYC. Healthcare technology company Nonnatech, led by CEO Gary German, recently received numerous awards; Nonnatech was named the 2014 PILOT Health Tech Winner and was also recognized as one of the most innovative health tech companies in New York. Nakeshia Knight-Coyle was admitted to the University at Albany public health program, where she will pursue a second master’s degree. She is currently working on her Ph.D. at Portland State University. David Novak is the new director of NOAA’s Weather Prediction Center (WPC), based in College Park, Md. An alum of the Department of Atmospheric and Environmental Sciences, David now resides in Crofton, Md. Vik Purewal was recently promoted to Senior Manager, M&A Transaction and Integration Services at Deloitte in New York City. Beth Akers co-authored the Brookings Institute Report, recently featured in The New York Times. Jennifer Puskarz is a recipient of the Excellence in Social Studies Education Award by the Connecticut Council for the Social Studies. Jennifer is pursuing a master’s degree in school counseling at the University of Connecticut. Kyle Aisling Steller was recently honored as a “Rising Star” by the New York Law Journal. Throughout 2014, Kyle spearheaded the Legal Services of the Hudson Valley’s collaboration with The Mediation Center of Dutchess County’s Coalition on Elder Abuse. 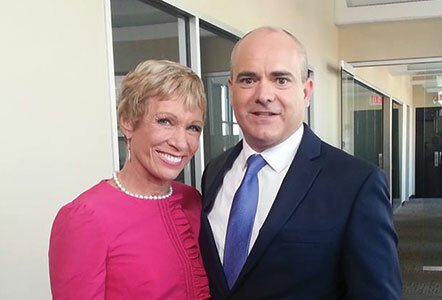 Kevin Clancy of Clancy Real Estate appeared on the fall season premiere of ABC’s "Shark Tank" with real-estate magnate Barbara Corcoran. Kevin, founder of Clancy Real Estate, provides service and expertise to a large clientele in Albany and throughout the Capital Region. Natalie Kapur Johnson joined the faculty at Francis Marion University as an assistant professor of political science. Sarah Pedersen was selected for the Richmond teacher residency at Virginia Commonwealth University. 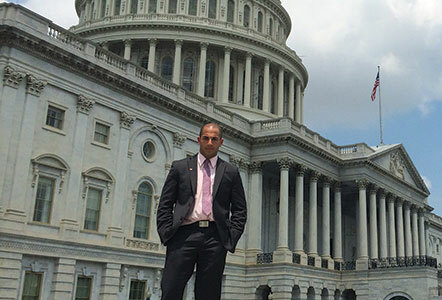 Anthony Cohen, a third-year student at New York Law School, recently published his first ebook, The Golden Five: How to Conquer Doubt and Achieve Success. Jason Gildea accepted a new position with Bank of America as an assistant vice president in the Enterprise Stress Testing Group. Former UAlbany assistant volleyball coach Brooke Stanley recently accepted the position of head volleyball coach at Converse College, Spartanburg, S.C.
Connor Greenseich was recently added to the Audit Department at Dannible and McKee, LLP, in Syracuse, N.Y.
Nina Amanda Egbuta recently qualified for the 2015 Miss Nigeria USA pageant and will compete in New York City this May.